The JBL TUNE500 delivers quality, powerful sound to spark up your day. Equipped with JBL Pure Bass sound, 32mm JBL drivers, and a one-button universal remote that is compatible with most smartphones, these headphones provide quick access to great sound every time. Lightweight and comfortable thanks to the soft ear cushions and padded headband, the JBL TUNE500 headphones also allow you to connect to Siri or Google Now without using your mobile device. 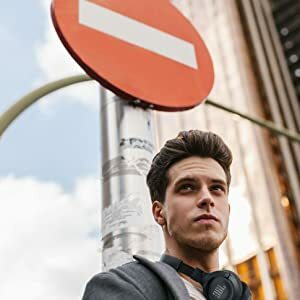 Available in 4 fresh colors that feature a tangle-free flat cable and foldable for easy portability, the JBL TUNE500 headphones are a plug ‘n go solution that enable you to inject music into every aspect of your busy life. The JBL tune 500 delivers quality, powerful sound to spark up your day. Equipped with JBL pure bass sound, 32mm JBL drivers, and a one-button universal remote that is compatible with most smartphones, these headphones provide quick access to great sound every time. Lightweight and comfortable thanks to the soft ear cushions and padded headband, the JBL tune 500 headphones also allow you to connect to Siri or Google Now without using your mobile device. Available in 4 fresh colors that feature a tangle-free flat cable and foldable for easy portability, the JBL tune 500 headphones are a plug ‘n go solution that enable you to inject music into every aspect of your busy life. JBL Pure Bass Sound It features the renowned JBL pure bass sound, which can be found in the most famous venues all around the world. The durable and flat cable keeps the cable hassle and tangle free while on the go. Easily control your music, calls access to Siri/Google Now at the touch of a single button. Siri or Google Now are just a button away, activate the voice assistant by pushing the remote button.